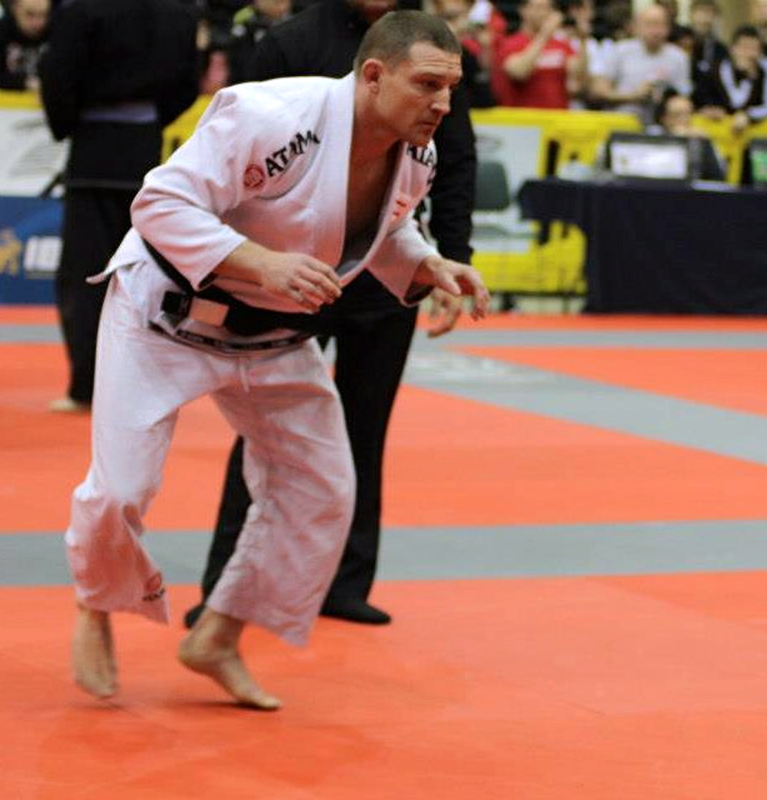 Damian Hirtz has over 16 years of training and teaching experience in Brazilian Jiu-Jitsu. Damian is the head black belt instructor of Alliance Minnesota under the guidance of one of the founders of Alliance, Fabio Gurgel. Damian teaches and trains daily and is also an active competitor at the black belt level. Damian’s attention to detail and dedication to the technique of jiu-jitsu led to his being asked to substitute for his instructor very early in his training, while still at the Blue Belt level. As time went on he was asked to assume a greater role in the development of his fellow students and began teaching his own regular classes. Over the years he was lucky enough to work with students from all walks of life, helping them reach their full potential in jiu-jitsu. His students have ranged from doctors, lawyers, housewives, office workers, students, and children to police officers, military personal and professional competitors. Because of his dedication to the technical aspects of jiu-jitsu, his role evolved into additionally teaching the advanced classes and working with competitors and professional fighters on their preparation for events. His role as a training partner and corner man to many professional Mixed Martial Arts fighters continues to this day. He continues to be a reference for some of the greatest competitors in the world competing on the highest levels possible in events like The Ultimate Fighting Championship, EliteXC, WEC, and Pride FC. Owner/Head Instructor: Alliance Jiu-Jitsu MN and CrossFitMN – Minneapolis, MN.